Now, when I say desktop, I don’t mean the desktop PC. 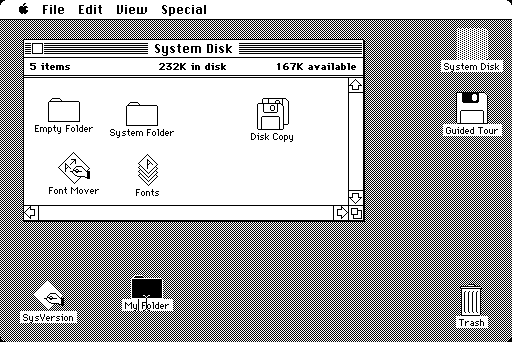 I mean the traditional personal computer desktop metaphor introduced on the original Macintosh in 1984 (- yes, I know Xerox was first). Since then, most personal computers have used some variation of a desktop as their primary UI. Windows, icons, folders, documents, trash/recycle bins have become familiar and nearly universal. The desktop metaphor also includes some important elements that were not really part of a traditional physical desktop, such as menu, status and task bars. Why do I concur that the desktop is dying? Well, there are a few reasons. Smartphones and tablet sales surpassed PC sales this past year. In Q4 of 2011, vendors shipped just over 100 million smartphones, while PC sales were numbered at 92.1 million. It’s not a huge relative difference, but the trend shows no sign of stopping for now since many consumers are still using feature phones but already own a PC. Tablets are also poised to take a bite out of PC sales, especially with ever-faster processors and slimmer packages. New releases of tablet OS in 2011 should also contribute, with Apple iOS 5 no longer requiring activation using iTunes on a traditional PC and Android 4 (“Ice Cream Sandwich”) replacing the rather underwhelming Android 3 “Honeycomb”. There’s no denying that the Web has come a long way from its beginnings on Tim Berners-Lee‘s NeXT cube at CERN. Web sites have evolved from being essentially online news or encyclopedia articles to being hubs for dynamic multimedia content and information sharing. Take a look at your taskbar/dock/other app switcher (if you’re viewing this from a desktop!). There’s a very good chance a Web browser is running. Even if there isn’t one running, chances are you have already used the Web more than once today. More and more of our daily computing activities are performed using a Web-based tool. Sharing. Word processing. Blogging. Watching videos. Listening to music. Instant messaging. Photo editing. E-mail. 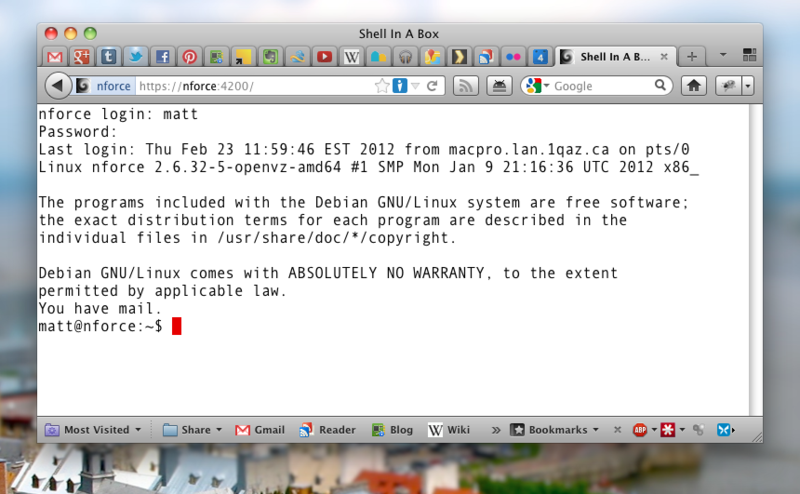 CLI shell access. Hell, why not any GTK application. True, there are some things that can only be done using a desktop application. Like OS virtualization. Oh, wait – never mind. There are probably quite a few computer users who never open a desktop app at all. Even as a network admin, most of my work is done using Web-based administration tools. With the new breed of smartphones and tablets that started with the iPhone, single-purpose, full-screen apps have become mainstream. Game consoles and PCs had full-screen apps before, but now, more than ever, “there’s an app for that”. With limited screen real estate, these apps are supposed to be fast, intuitive and immersive. Desktop PCs have hopped on the bandwagon too. During the netbook era, “mainstream” Linux distro Ubuntu launched “Ubuntu Netbook Remix“, a special version of their OS optimized for small (typically 1024×640) netbook screens featuring large buttons, automatically maximized apps and minimal user distractions. Ubuntu’s new interface, Unity, is based on UNR. Following the immense popularity of their iOS mobile devices, and the successful launch of the iPad, Apple released Mac OS X Lion with support for full-screen apps and many other features and UI elements pulled from iOS. 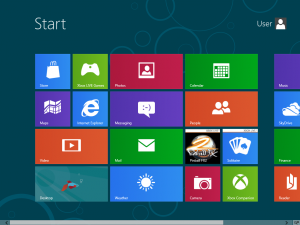 Over in Redmond, Microsoft is bringing their “Metro” interface from Windows Phone 7 and XBOX 360 to the Windows desktop. It could be argued that some of these new interfaces are an evolution of the desktop metaphor. I would agree, however, the traditional desktop seems to have its days numbered. The future seems to be a future of full-screen apps, custom web/HTML-driven interfaces and maybe widgets. 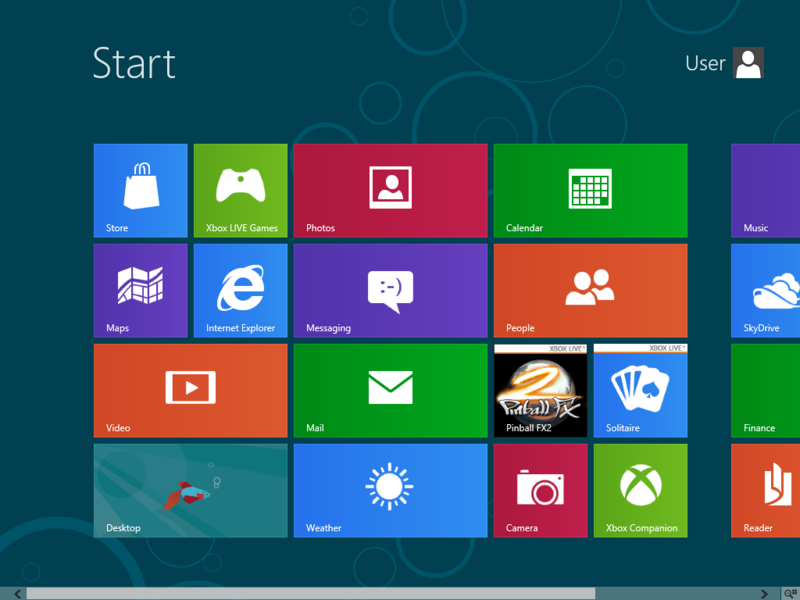 Windows 8 still has what they call a traditional desktop, however the Start button has been unceremoniously killed off. The next version of Apple’s OS is not Mac OS X Mountain Lion, but simply OS X Mountain Lion, a clear sign that the Macintosh and its once-revolutionary desktop is now a part of the past. For my part, I feel saddened and almost homeless with the prospect that my beloved desktop belongs to the confines of history. True, I could just continue using Gnome 2, or Mac OS X 10.6, or Windows 7, but that means missing out on the latest and greatest. I don’t like where this is going. Change is not always good. I must be getting old.